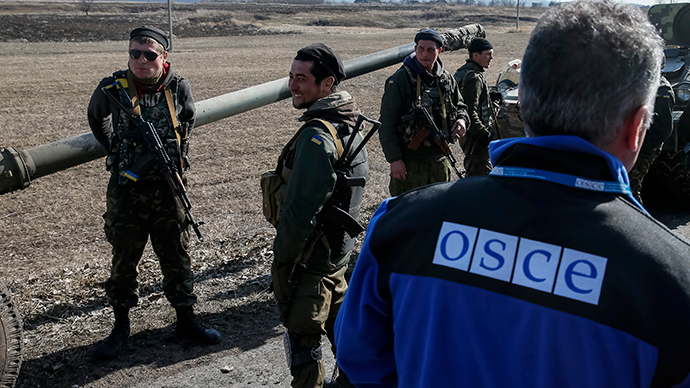 Members of the OSCE mission in Ukraine have been questioned about their nationality by Kiev troops and volunteer battalion militiamen looking for Russian nationals. Vehicles have been illegally searched and lives threatened. Russia’s Foreign Ministry has expressed concern over the questioning of members of the Organization for Security and Co-operation in Europe (OSCE) mission to Ukraine and illegal checks of their transport. 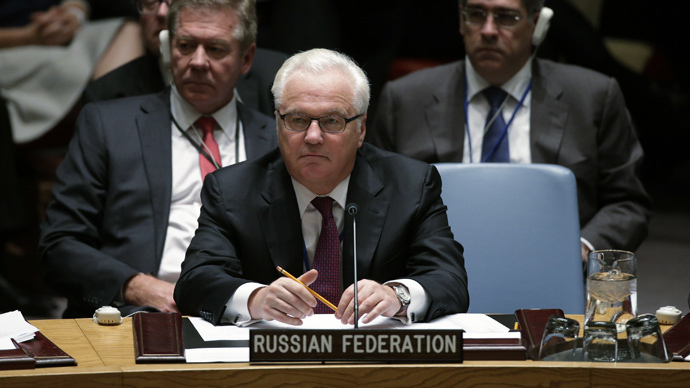 On Monday it issued a special communique on the violation of the observers’ rights. The release claims multiple violations of observers’ status have been registered at a number of checkpoints and settlements under the control of pro-Kiev forces. The communique mentions incidents in five villages. In a sixth case, a Ukrainian soldier openly threatened Russian-national OSCE members with death. “These facts cause resentment and are categorically inexcusable. 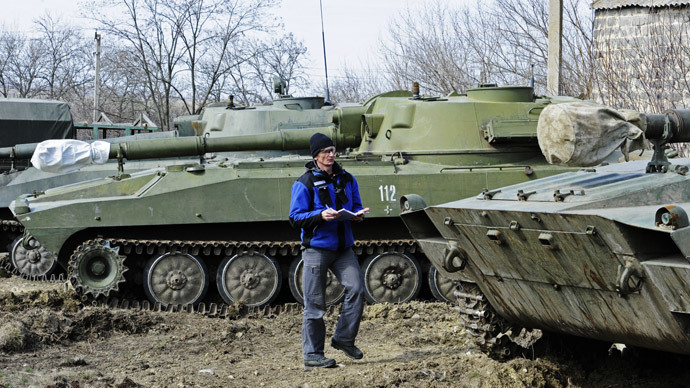 The coordination of the actions of the Ukrainian military and volunteer units leaves no place for doubt that the order on checking OSCE observers has come from a single center,” the document says. 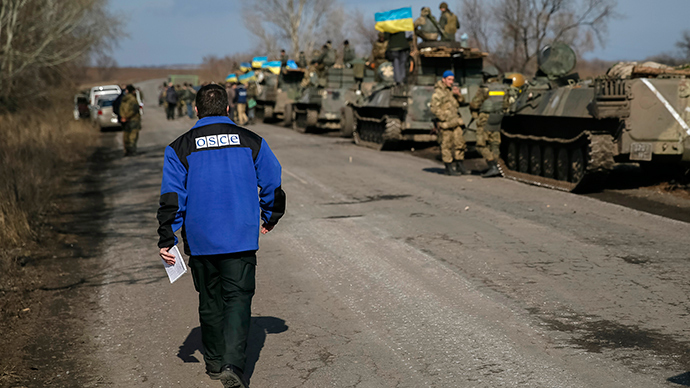 Such actions by the Ukrainian forces run contrary to Kiev's obligations to ensure safety and freedom of movement of the OSCE monitors overseeing the implementation of the Minsk peace deal and UN Security Council’s resolution 2202, the ministry said. The leaders of Ukraine and the self-declared Donetsk and Lugansk People’s Republics, together with their colleagues from Russia, France and Germany, agreed on a new peace deal at a February meeting in the Belarusian capital, Minsk, after a previous ceasefire agreement had failed. 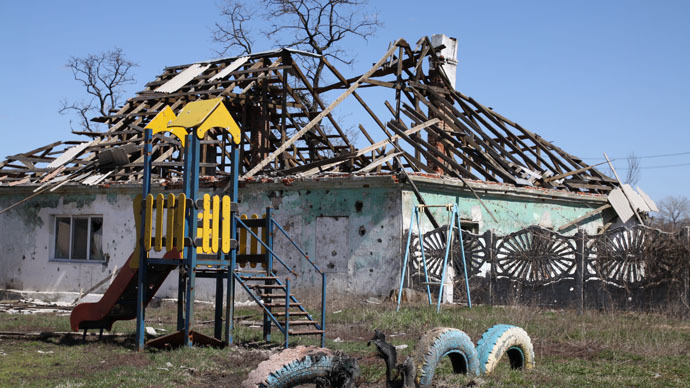 OSCE: there is a "3rd force" involved in Donbass provoking conflict "@UKRINFORM: http://t.co/rZ5y1sWvR5pic.twitter.com/8C5nHtCC2w"
The new deal implies pullout of heavy weapons by both sides of the conflict, with the OSCE monitoring the ceasefire and security at border crossings between Ukraine and Russia. 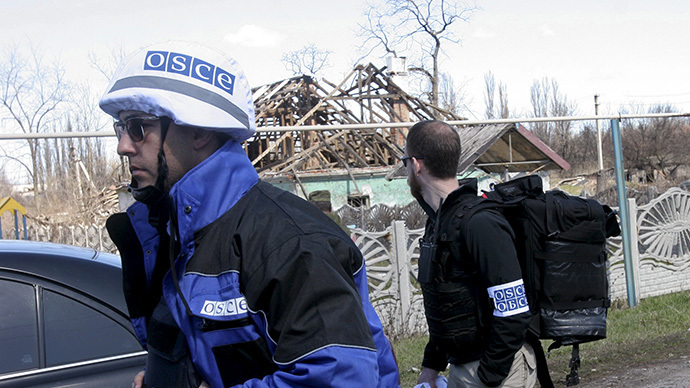 The OSCE deployed its observers to Ukraine in March 2014 at the request of the Kiev government. A month later, in April 2014, Kiev launched a military operation against the rebels in Donbass. In early March 2015 the OSCE decided to extend the mandate of the Special Monitoring Mission in Ukraine for one year, as well as increase the potential number of its observers to up to 1,000 people.